The Festival of Flowers is here again, this year from 19 Feb to 14 Mar. 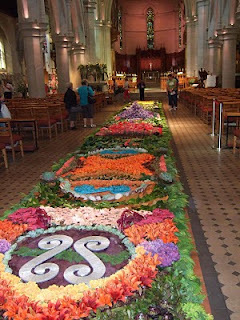 The highlight is the Floral Carpet in the Christchurch Cathedral. There is a $10 entry fee but it is more than worth it. The range of flowers and greenery used and the concepts behind each section of the carpet is amazing, all within the magnificent backdrop of the cathedral. 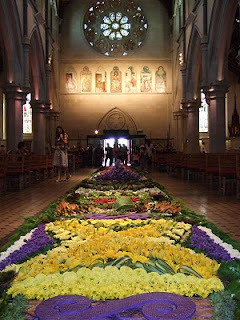 In addition there are numerous decorative floral presentations dotted around the cathedral, making it a truly exquisite myriad of colour and design. When I went there were not so many people there, allowing uninterrupted viewing, which was great, but one of our guests went when someone was explaining the concepts and processes involved in creating the carpet, and they said that some of the numbers and efforts of the creators they had heard were staggering. Most of the festival sites can be easily reached by foot from CentrePoint on Colombo Motel, a great way to see the garden city. 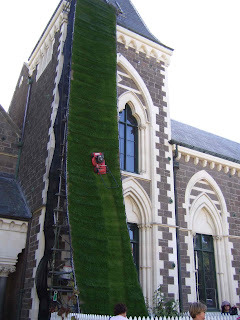 During the festival there are a multitude of activities, NZ National Tree-Climbing Competition, Craig Rome’s Garden Tours, the vertical garden in front of the Museum and many others, all of which can be viewed at http://www.festivalofflowers.co.nz/.